What is a United Nations document symbol? - Ask DAG! What is a United Nations document symbol? 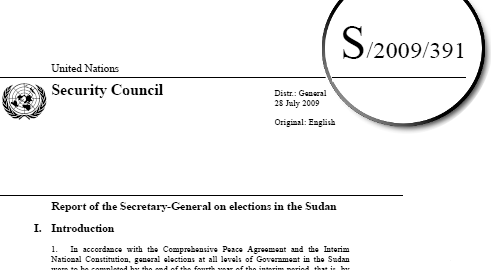 The UN document symbol is usually found at the top right corner of a document. The symbol serves as a unique identifier for a UN document. All language versions of a document have the same symbol. All document symbols are composed of a combination of numbers and letters. Some UN publications that have a UN sales number are also given a UN document symbol. Each element of the document symbol has a meaning. For more information, please see our Research Guide on UN Documentation.